Produces laser patterns on ceiling or wall. 3 operation modes: DMX, SOUND ACTIVE, MASTER/SLAVE. 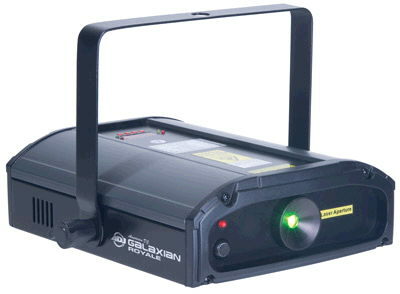 * Please call us for any questions on our galaxian laser light rentals in Ft. Wayne IN, Warsaw, Syracuse, Auburn, South Bend, Indianapolis IN.